Valley Hardwood Supply has the best selection of exotic hardwoods, as well as domestic hardwoods, in the Fargo/Moorhead area. 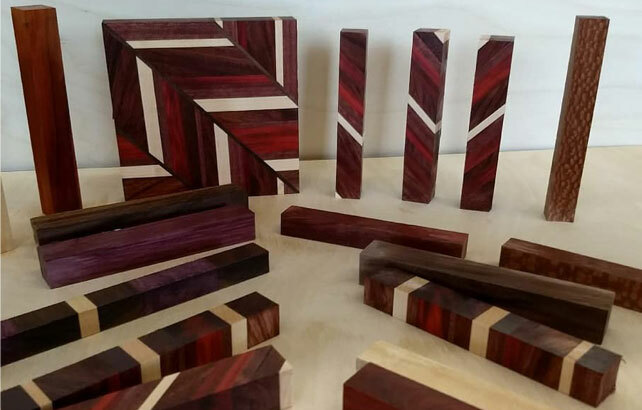 We have an amazing selection of Walnut, Maple, Padauk, Purple Heart, Red Heart, Cherry, Oak, Ambrosia, Cocobolo, Bloodwood, Wenge, Mahogany, Poplar, Basswood, Hickory, Zebrawood and many more with new species arriving all the time. We also sell plywood, including baltic birch.